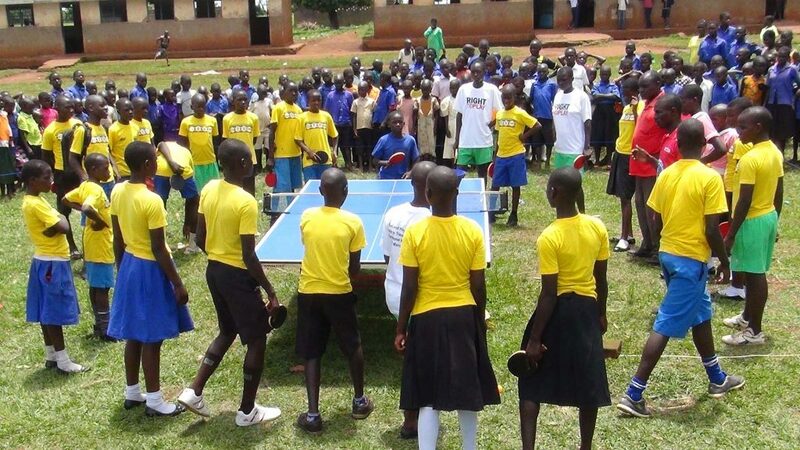 Rain the previous night caused problems on the road to the Kojonjomi Primary School but it was not used as an excuse to break the tradition of World Table Tennis Day celebrations in the Hoima District of western Uganda. More than 450 enthusiasts, children, parents and community members, participated in the different activities on Friday 6th April. The celebration was within the framework of the project “Skill Development for Children and Youth with or without Disabilities”, organised by Hoima Network of Child Rights Clubs (HONECRIC). Commencing in June 2012 the project has been promoted in six primary schools: Kitana, Kijonjomi, Busiisi, Buhanika, Kibanjwa and St. Bernadette. 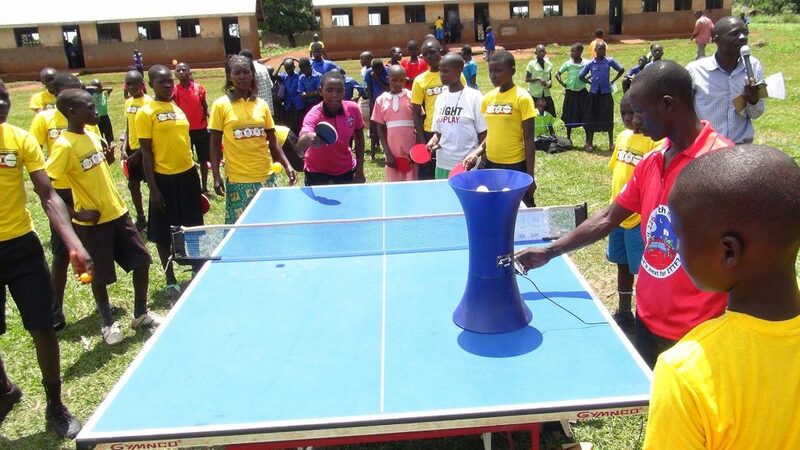 In co-operation with the United Nations Office on Sport for Development and Peace (UNOSDP), the initiative was supported by ITTF Dream Building with materials and funds to continue implementing programmes in rural schools. Activities on World Table Tennis Day began at around noon with an official ceremony which involved anthems and a prayer followed by demonstrations some using the iPong robot awarded one year ago. After lunch, more activities awaited the children and the rest of the participants. Everyone participated in an opening round the table game to build confidence between guests and children. Subsequently, the children played against the iPong robot and also played competitive matches against colleagues. Other activities were racket ball control and a race bouncing a ball alongside parents which all found very amusing. Parents were interested that their children could master skills for the future. Kijonjomi child rights club members surprised everyone with a song about table tennis, which was an inspiration to continue playing. The event closed with speeches by authorities and athletes who pointed out the healthy and social benefits of table tennis. They encouraged children to play the sport. It proved another successful event by HONECRIC to raise awareness about table tennis and show new generations how this sport can change their lives.